Technical Drawing is an essential skill in the fashion industry. Technical drawings contain information that is essential for designers, buyers, machinists, pattern cutters, and production teams. TECHNICAL DRAWING Volume 1, BASIC COURSE BOOK, explains the basics of making a technical drawing. First, the standard format and tools are introduced. 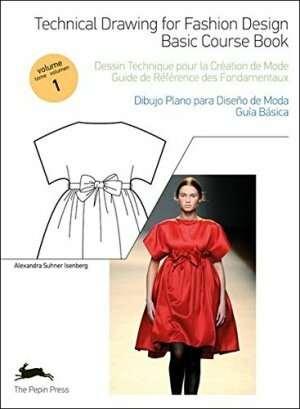 This is followed by step-to-step instructions on how to draw a number of different types of garments. Then techniques are shown for rendering textiles and adding individual style to the drawings.